Hello friends, all of you will have heard about Android root but do you know what it is like after root is what changes in your mobile and whether you must root your mobile or not all of these things discussion today, we will know what Android Root is? And what are its advantages and disadvantages? You must have already heard about Rooting a Smart phone with an Android operating system but do you know what is rooting and what should we do to root our phone. Root actually means accessing your mobile system files which is also called administrator privileges. If you have Linux then you will know the meaning of root, as well as windows also have administrator accounts. By accessing Root you can manage system files in your phone, you can delete pre-installed apps, install custom Roms. There is a lot more things you can do in addition these. You will see a variety of apps that ask you for root access in your phone to run, Bo ask you for Root access so that Bo can access your system files. How to Root Your Android Mobile? Root requires a different script for every kind of mobile phone, so it is not polite to root every mobile, but if you can write the script yourself, you can do several Saree's to root the mobile in addition to the script. -Although apps are available on the Internet such as Kingo root, these apps can root a lot of mobile but in the future, I would still recommend that you know completely about it before you root your mobile. Should We Need a Smart phone Root? If you have a normal user and if you do not know much about the android Smart phone then you will not always recommend that you root your android Smart phone. But you know a lot about security and technology, and if you need a lot of root access then only root your phone. So far we have known what is Android Root? Also, let's know whether we should root your mobile or not, let us now know some of its advantages and disadvantages. After rooting your android Smart phone you can do a lot as you get full control over your phone after you root. You can put custom Roms on your phone, put different OS in your phone, and can also install various types of apps and uninstall pre-installed apps. Your processor can over clock and under clock. Stunning to Smart phone Root. As I have told you that if you do not know much about technology, then do not root the android Smart phone because there is a lot of things to keep in mind about which app is giving root permissions to which no application is to be given and to give permission then why it is to give permission. Rooting your mobile security weakens and any app can access the system files of your mobile. Adware can come in your mobile. Viruses can come. Extra apps can be installed in mobile ransom ware can come in your phone can be hacked. There are many more types of malware that can come up even your phone may lock. So, after rooting the phone, use trusted apps only and keep periodically backing up your data and before giving Root permission, know about the app and thoroughly research it. Friends, what is Android Root? 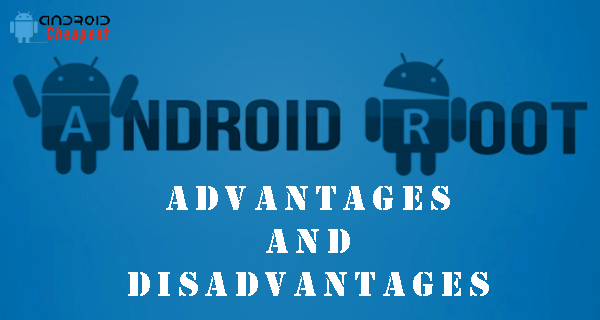 Advantages and disadvantages there is much to know about this and at the same time you will be aware of root and its some basic things.